Military Schools Are Opening Soon - Is your Child A Candidate for this Excellent Academic Opportunity? 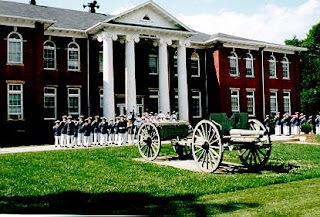 Has your child mentioned military academies to you? Have they expressed an interest in attending such a school? If so, you as a parent have an obligation to listen, and more importantly to help them make the right decision. What a fantastic opportunity to showcase my first book, Wit’s End! The response has been overwhelming and I appreciate all the great emails and calls. Today Kristin Stattel, Author and Youth Advocate, and myself were featured on The Balancing Act - a Lifetime Television Series. Speaking of my new book, Wit's End! on this segment, Kristin also shared some of her experiences when she was struggling during her youth years. Her upcoming book, It's All Good! will help teens to better understand the pressures of today's society and give them inspiration and hope. Kristin is an amazing young adult who spends her time giving back to others as well as going to college. She is a mentor to so many youths! Bullying and, in particular, cyber-bullying is becoming a frequent practice among the American youth. Incidents are reaching such daunting results that state legislatures are rapidly adopting measures. 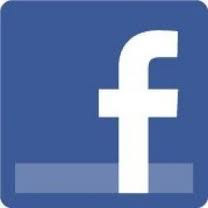 For instance, Florida Legislature adopted an anti-bullying, including cyber-bullying, law on April 2008. The law is called "Jeffrey Johnston Stand Up for All Students Act" (Fla. Stat. section 1006.147), named after Jeffrey Johnston, a 15-year-old boy who committed suicide after being the object of bullying, including Internet bullying, for two years. This new Florida law prohibits bullying and harassment of any public K-12 student or employee, and requires public schools to adopt measures to protect students and employees from the physical and psychological effects of bullying and harassment. For most teens, the summer brings sun, swimming and maybe some extra time spent on the skateboard. But for others, the season marks the time when they first try pot. “Beginning of summer, first day of summer, in fact,” says Sarah, who’s 19. “It was during the summer because then we could stay out later and a lot of other kids were out of school, too,” 18-year-old Angelique adds. In fact, studies show 40 percent of teens who smoke marijuana first tried the drug during the summer. Sarah Maria is a body-image expert and personal empowerment specialist who helps people love their bodies no matter how they look. She leads workshops internationally and works one-on-one in consulting sessions to assist people in overcoming hatred and dissatisfaction with their bodies using holistic healing and spiritual principles. She's a certified meditation teacher, Yoga instructor, and Ayurvedic Lifestyle Counselor. Contact her at Contact her at sarah@breakfreebeauty. Be sure to sign up for her Newsletters and Radio Show at http://www.breakfreebeauty/ - you won’t want to miss how you can start believing in yourself and empowering yourself and your teen to feel good about who you are. Why is This Child So Distressed? Author of "Why My Child Can't Behave"
If the reasons for a child's problems stem from a family situation, interaction with peers, events at school, etc., then the place to look for resolution is clearly there. But if the child has always been hard to parent, the answers might be as close as your kitchen pantry. Here are some children whose families have found answers in their kitchen. Jenny, 18, has been hurt as many times as she’s been in love. At age 13, her boyfriend was physically abusive. “He grabbed me by my neck one time, and I had fingerprints, bruising,” she explains. “He promised me, he said I promise you, I’ll never hurt you like they did,” Jenny says tearfully. “And I promised her that, but I didn’t keep my promise,” Mateo, 17, admits. “Verbal abuse, emotional. You name it,” he says. Research in the Journal of American Medicine finds that 42% of teens have been the victim of dating violence. 17% have been the perpetrator. “Violent activity and dating violence begins early in adolescence; you know, begins when dating begins,” says psychiatrist Dr. Lynn Ponton, author of a book about the dating lives of teenagers. Occurs in children’s home. Being bullied at home can take away the place children feel most safe. Can be harsher. Often kids say things online that they wouldn’t say in person, mainly because they can’t see the other person’s reaction. Far reaching. Kids can send e-mails making fun of someone to their entire class or school with a few clicks, or post them on a Web site for the whole world to see. Anonymity. 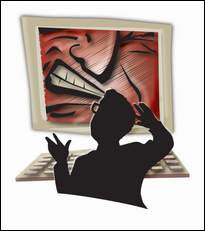 Cyberbullies often hide behind screen names and e-mail addresses that don’t identify who they are. Not knowing who is responsible for bullying messages can add to a victim’s insecurity. 2.Knowing your Children’s Friends: This is critical, in my opinion. Who are your kids hanging out with? Doing their homework with? If they are spending a lot of time at a friends house, go out of your way to call the parent introduce yourself. Especially if they are spending the night at a friends house, it important to take time to call the parents or meet them. This can give you a feeling of security knowing where your child is and who they are with. I was made aware of The Feingold Diet when my son was younger, but as a single mother of two children, it didn’t fit our schedule or my busy routine. Some people may view this as an excuse, but for me, it wasn’t an option I could accomodate. But - that doesn’t mean it isn’t a viable alternative to medications. Growing up in the 21st century provides young people with amazing opportunities. We have access to incredible technology that allows us to communicate instantaneously through email and cell phones. We are the healthiest, best-educated generation in history. We volunteer at an even higher rate than adults do. The level of crime that we face is lower than it has been in 30 years. However, crime rates are still too high. The good news is that there are real things we can do about the problems that plague our communities. Community Works offers us a way to do something about crime and violence. When we participate in the Community Works curriculum, we can work with our friends, other young people, and adult leaders to learn the facts about crime and violence, how we can help prevent crimes, and how we can become involved in service-learning projects that benefit our community. Take the nagging out of parenting! bedtime battles? Want your kids to be more independent? (transitioning from school to home activities), and Evening (getting ready for bed). Individualized routines are put together by parents and children to fit their life style. be completed, what tasks should be done now, and what tasks are coming up next. Shift as many tasks as you can to the night before. Sign permission slips, make sure book bags are packed, and leave everything by the front door, in a "launch pad." Draw up a checklist that spells out your child's morning routine ("get dressed," "come to the kitchen for breakfast," and so on), and have her check off steps as she completes them. Use a timer to remind your child when it's time to move on to the next task. This will keep you from micromanaging his routine, and give him more control over his own schedule. The morning rush is already hectic, so don't add extra stimuli to the mix. Leave the television and the computer off until your children are out the door. After years of dramatic declines in the number of teen smokers, experts say that decline might be reaching a plateau. “[This change] obviously raises a lot of concern for us,” says Corinne Husten, M.D., the Acting Director with the Office on Smoking and Health at the Centers for Disease Control and Prevention. A casual survey of teenagers seems to confirm the news. “Most of my friends smoke,” says 18-year-old Arien. “Everyone I know smokes or whatever,” explains 17-year-old Teri. 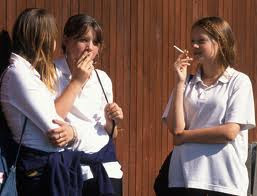 In fact, the study finds that 20 percent of teens have smoked a cigarette in the last 30 days. And more than 50 percent have tried smoking. 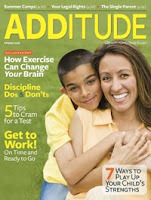 Sue Scheff: The Feingold Program/Diet - Can it Help Your ADD/ADHD Child? I have always heard of the Feingold Program/Diet and how it truly helps ADD/ADHD children. As a parent of an ADHD son, I know the struggles of debating medications versus diet. However as a single parent of two, it was not fesible for me to consider the Feingold Program at the time. Now with all their new updated information - the program is designed for the parents on the go. Take time to review http://www.feingold.org and learn more about how your child’s diet can affect their behavior. • Is your teen escalating out of control? • Is your teen becoming more and more defiant and disrespectful? • Is your teen manipulative? Running your household? • Are you hostage in your own home by your teen’s negative behavior? • Is your teen angry, violent or rage outbursts? • Is your teen verbally abusive? • Is your teen rebellious, destructive and withdrawn? • Is your teen aggressive towards others or animals? • Is your teen using drugs and/or alcohol? • Does your teen belong to a gang? • Do they frequently runaway or leave home for extended periods of time? • Has their appearance changed – piercing, tattoo’s, inappropriate clothing? According to a recent online survey, one in four kids say their internet friendships are equally or more important than friends met in person. “Yeah, I mean, like. Cause of the internet, I’ve, you know, that’s where I found my social group, and I really kinda found out about myself,” agrees Matt. But are these relationships healthy? 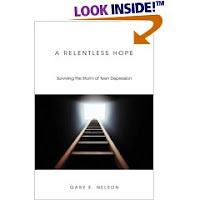 Dr. Paul Jenkins interviewed with Dr. Gary Nelson, the author of “A Relentless Hope: Surviving the Storm of Teen Depression”. I found this book to be personal and very informative, with a nice conversational tone. His story is based on his years of counseling experience, as well as his personal experiences with his son, Tom. Dr. Nelson’s insights are valuable to those of us who are trying to understand both teens and depression. You can contact Dr. Nelson through his website, survivingteendepression.com. July 8th Call ************* Dr. Gary Nelson is a parent that struggled with his own son. His journey with his son and his family helps you to understand that many of us struggling today are not alone. Gary Nelson creates an awareness that many people seem to overlook or simply don't want to face. If you suspect your teen or pre-teen is suffering with depression, I recommend this book - it can give you a lot of insight. Troubled Teens? Stop - Think - Do your homework! Are you considering any of the following programs for your child? Take a moment to read my experiences - http://www.aparentstruestory.com/ as well as my book where you can hear my daughter’s experiences for the first time - order today at http://www.witsendbook.com/. The lesser known relative of depression, anxiety, afflicts people of all ages and can be especially detrimental for teenagers. It is completely normal and even common for individuals to experience anxiety, particularly during stressful periods, such as before a test or important date (think Prom). For many, this is beneficial, serving as motivation to study hard and perform well; however, for many, anxiety goes beyond standard high-stress periods. While occasional stress is nothing to worry about and can even be healthy, many people experience anxiety on an ongoing basis. People, especially teenagers, who suffer from anxiety disorders, find that their daily life can be interrupted by the intense, often long-lasting fear or worry.